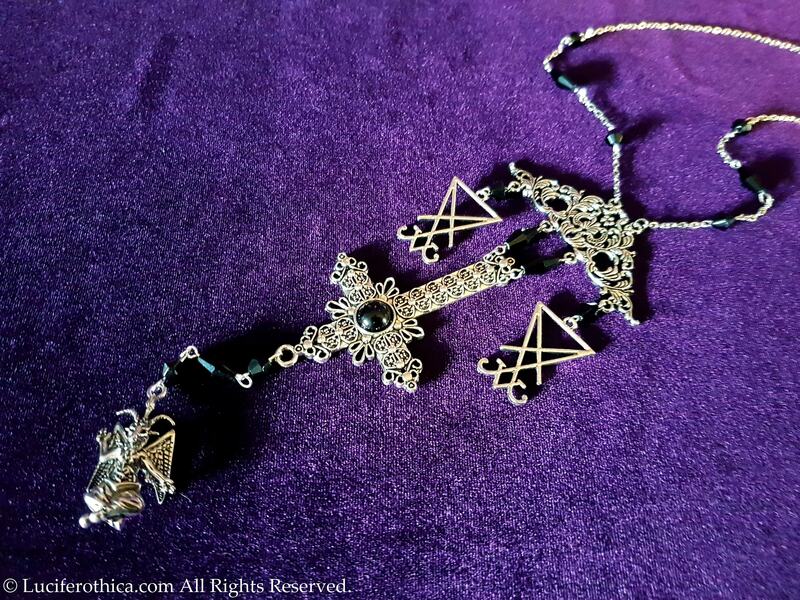 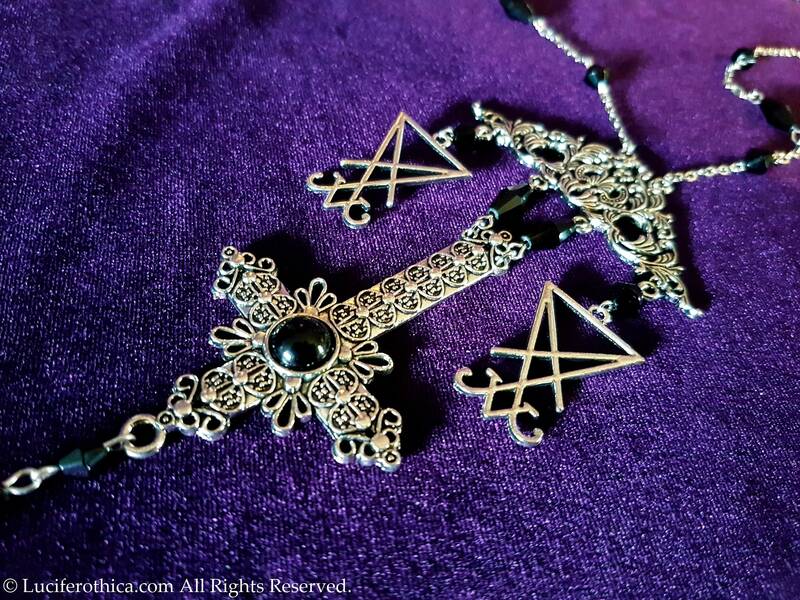 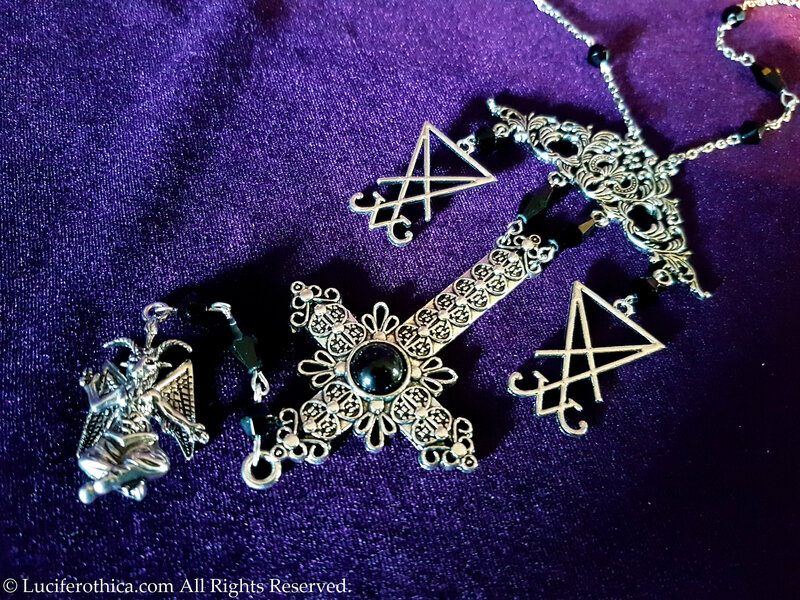 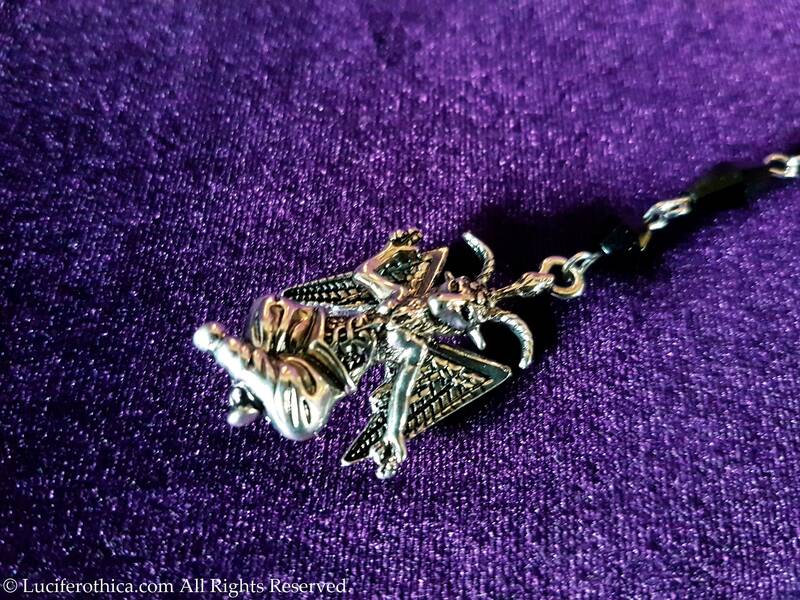 Handcrafted neckpiece inspired on what baphomet represents. 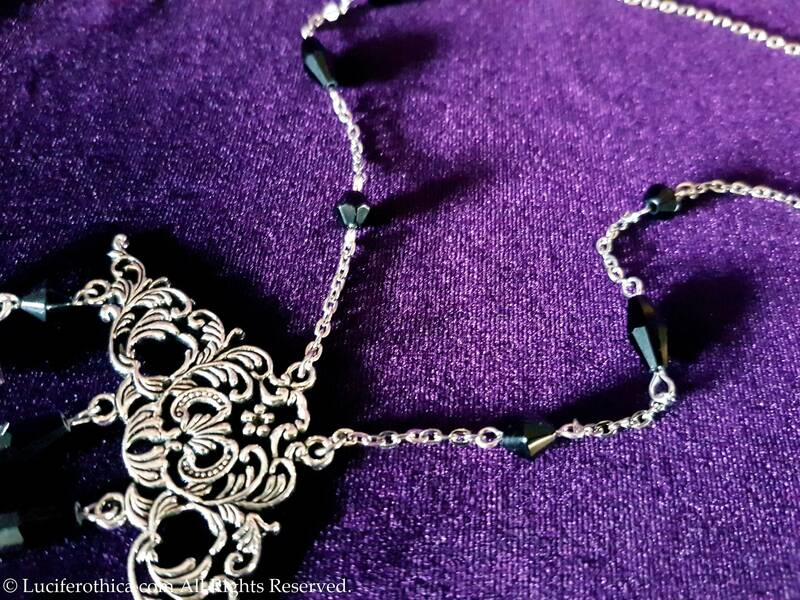 - 62cm long chains with black glossy beads in different sizes. 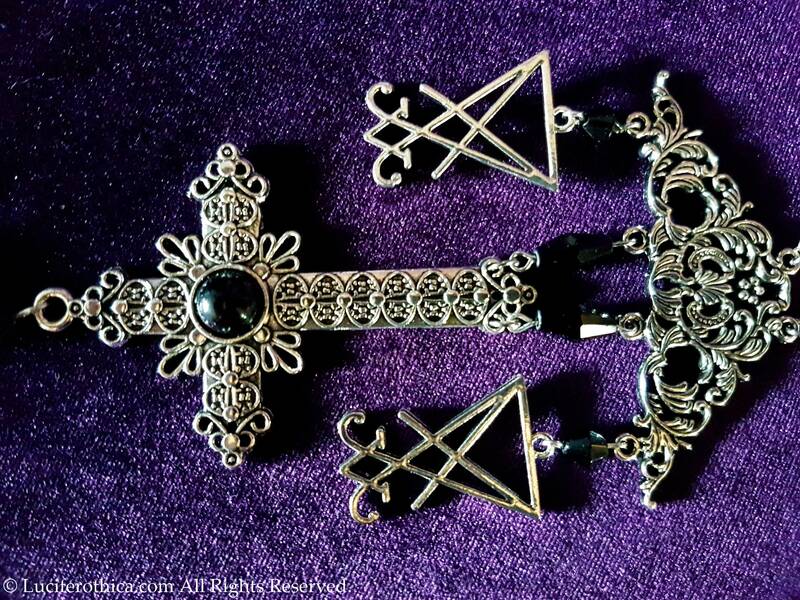 - Baphomet charm at the end. 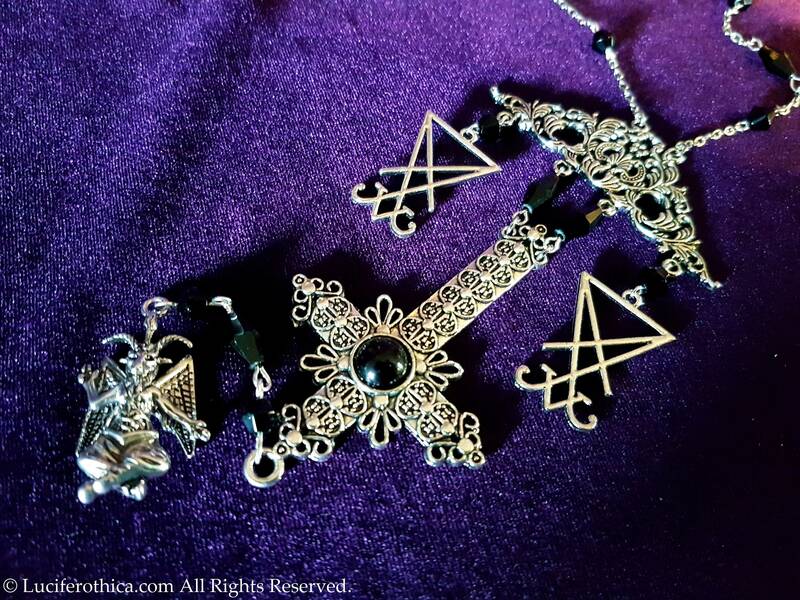 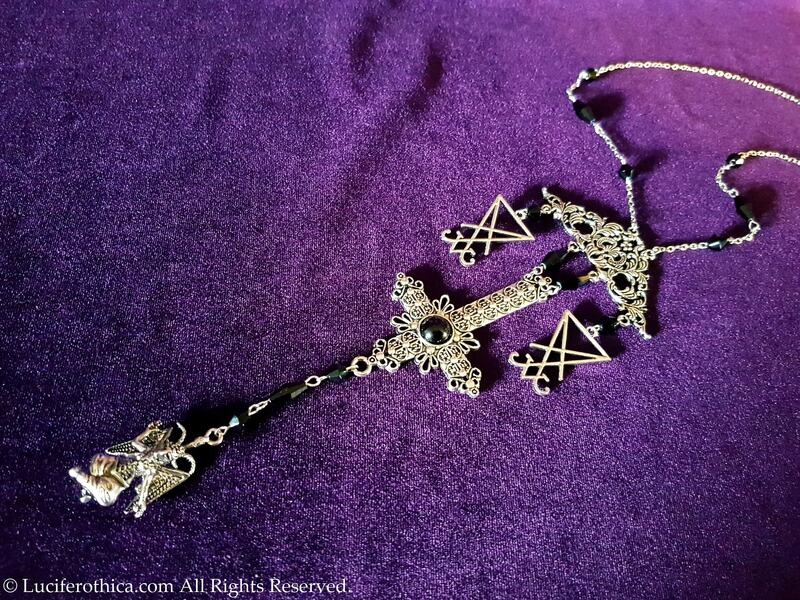 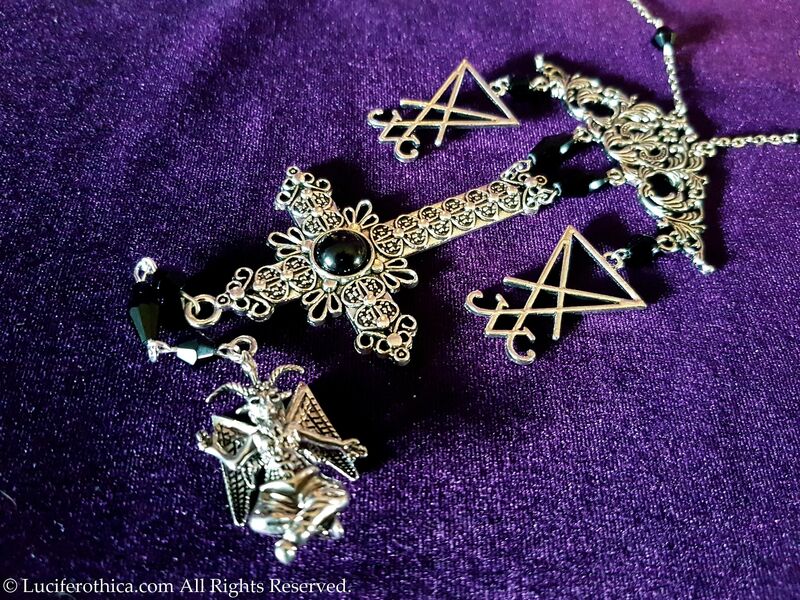 - Gothic Inverted cross in the middle. 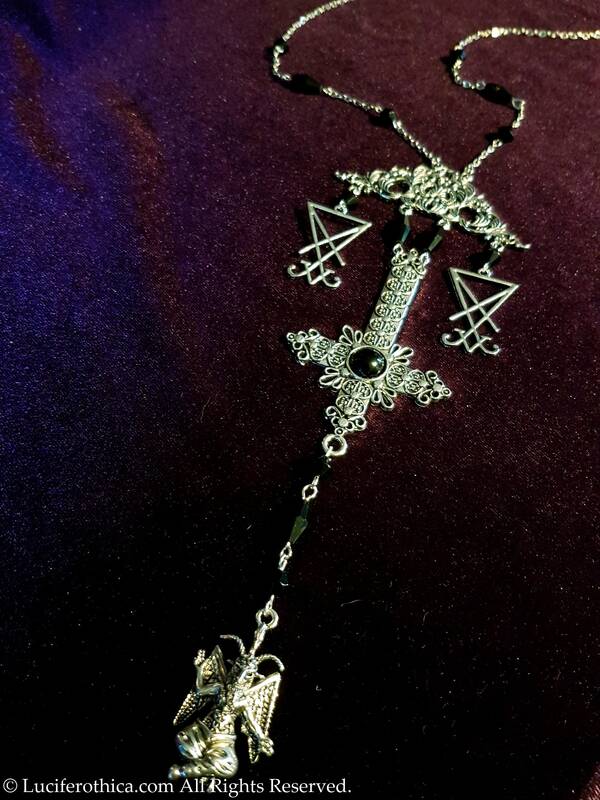 - Balance triangle ornament with a 3cm big Sigil of Lucifer at each side, representing the scales.